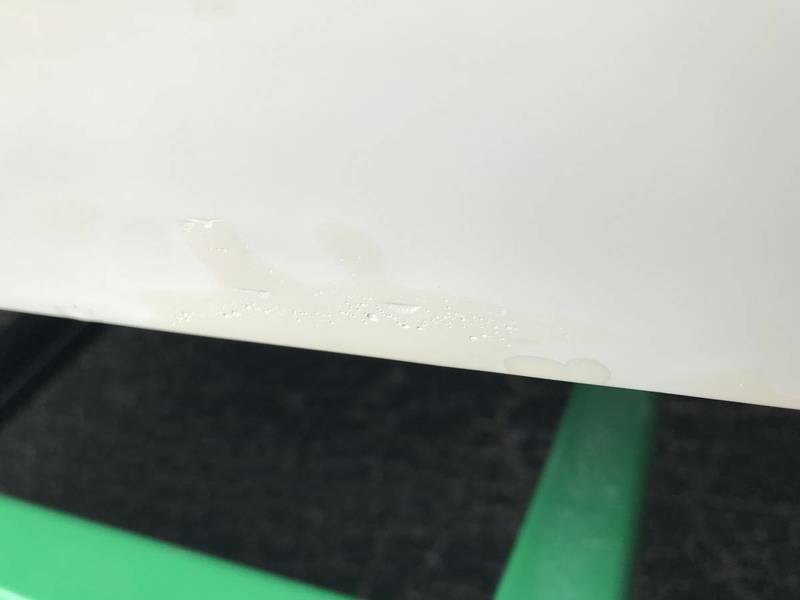 Gelcoat repair, water logged fiberglass? I recently purchased a boat and the dealership did some small gelcoat repairs to the visible side of the hull. First they did an ok job with the repairs, and second there are several additional places they missed. 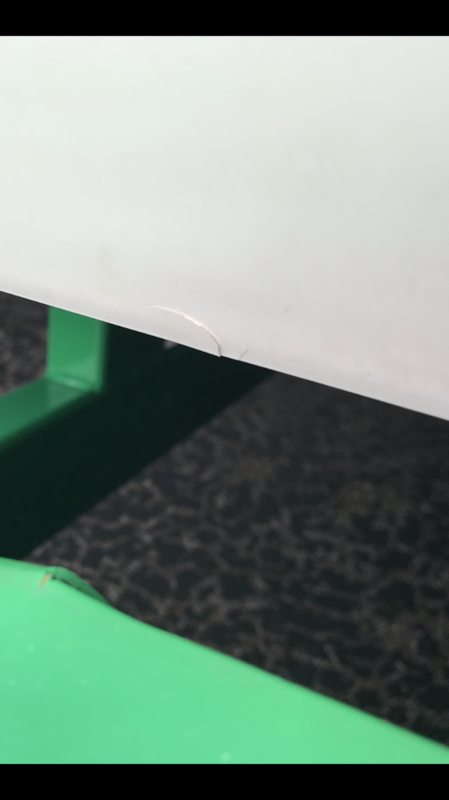 It seems at one point the previous owner scraped the underside (1-2 mm) from the edge of the bottom of the hull which caused a 4’ long scratch to the underside and immediately adjacent to the “freeboard” portion of the hull is where the “cracks” and repairs are. So so to my question. 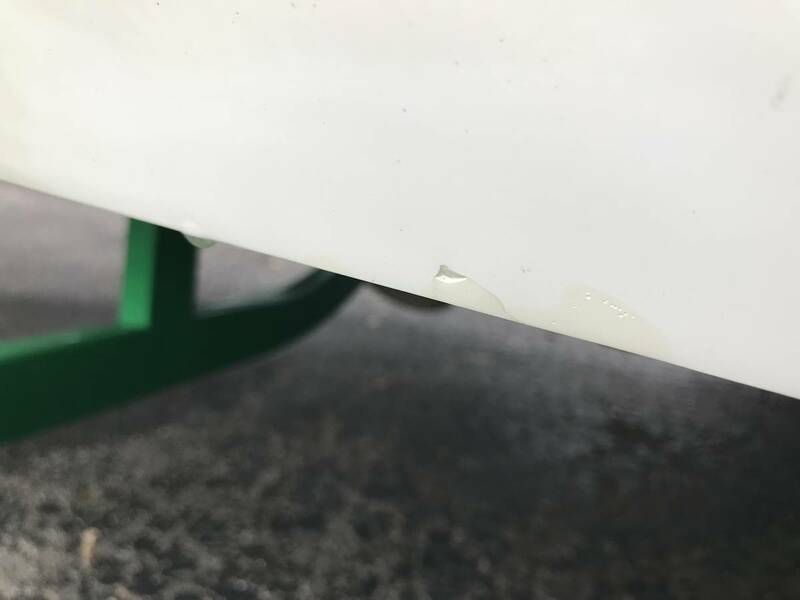 How concerned should I be that the boat has probably spent many hours in the water (including 2 this past Sunday), where there is a possibility some water has soaked into the fiberglass? If I am going to get it repaired properly (or do it myself) should I let it sit for more than a handful of days to let the fiberglass potentially dry out? Hit it with a heat gun for a bit? Ill probably also ask the dealership and/or a gelcoat guy, but I would prefer get some feedback from the crew too. There 3 places they “fixed” the gelcoat on the side and 2 places they missed. A few pics for reference. I only noticed the scratch on the underside tonight for the first time. Dealer should be able to put some heat lamps on the area and dry them out for a repair.